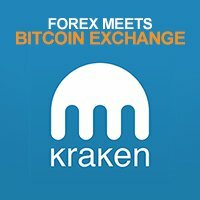 Kraken is an online trading platform that services clients of all types who are in the market for the buying and selling of Bitcoin, as well as of altcoins and other fiat currencies. It began its operation in September 2013 with a four-month period dedicated for its public beta testing. Already in full-blown operation, this Bitcoin exchange is geared up to push the digital currency into the mainstream market via its feature-packed, professional trading platform. The California-based Bitcoin trading platform accepts a range of virtual and fiat currencies , namely the US dollar, euro, Korean won, Bitcoin, Litecoin, Ripple, Namecoin, and Ven. Thus, you may use any of the mentioned currencies to fund your Kraken trading account. As compared to the other Bitcoin exchanges, this platform offers a variety of trading pairs that extend beyond the popular digital currencies. Expect to find pairs like XBT/EUR, XBT/USD, LTC/EUR, LTC/USD, XBT/LTC, XBT/NMC, and XBT/STR. If you are wondering what XBT is, this is the code assigned for Bitcoin. Take note that these are not all the available trading pairs as there are 12 in total. Similar to the trading marketplaces online, though, there are fees involved for each transaction. What is commendable about this exchange is that you may need to only pay a 0.2% fee. The fees charged by the platform are relatively lower than the average amount employed by the majority of other trading sites, so this is an absolute plus for the customers. Another positive aspect about transacting online over on Kraken is the guaranteed security of your funds and information. Here, the security measures and protocols are intense that it gives you the feeling of total protection. For instance, your account can be protected in numerous layers. Aside from the usual password protection, you have the option to enable the two-factor authentication feature. On top of this, it is also your prerogative to apply a master key, which will function as another barrier against unauthorized access. Aside from these, a PGP public key will ensure the authenticity of all the emails sent to your account. Furthermore, you can set up the global setting lock feature while complying with the strict KYC/AML policies of the trading platform. With high emphasis on the security of your funds and on the quality of services it offers, Kraken truly deserved to be regarded as one of the top Bitcoin exchanges in the market today, whether you are an avid fan of Bitcoin gambling or if you prefer to play the Bitcoin casino games in the growing Bitcoin casino market.